[WATCH] Venom Domez by Zag Toys "unbagging" – AiPT! [WATCH] Venom Domez by Zag Toys "unbagging"
Collect all the Venoms like you were Taneleer Tivan! Have you seen these Domez figurines? By a company called Zag Toys? They’re typically in the collectible/card game aisle at your local department stores. There have a been a couple Deadpool series, and an Infinity War (of course), but with a certain film releasing this weekend, there’s finally something a little different — a Venom series. This one actually interested me because of all the different possible versions of symbiote characters available, including everyone’s favorite Spider-Carnage () and the VENOMIZED TYRANNOSAURUS from Old Man Logan. I’m not sure I understand why their heads are oversized or why they’re served under glass like a 19th century Thanksgiving dinner, but after my first, I may be going back for seconds. What do you think? 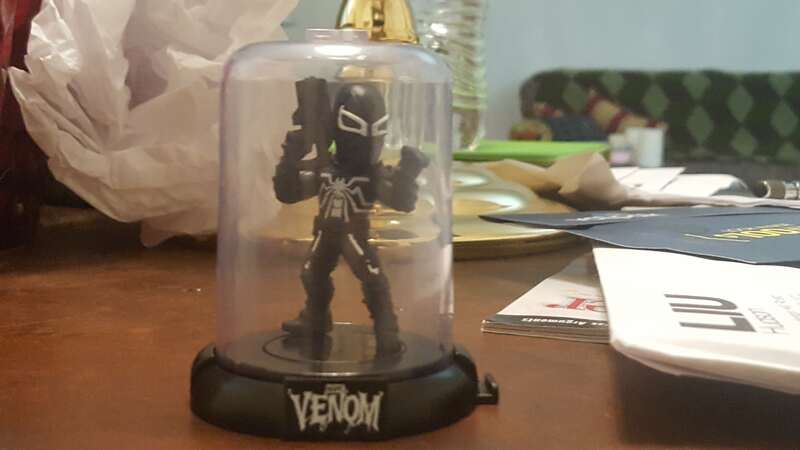 Which Venom would you hope to pull from this new blind bag?